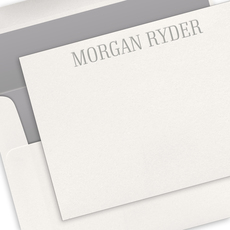 Sample shown on White stock with Silver ink and Gunmetal envelope lining. 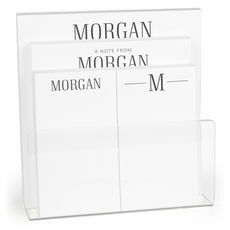 These modern and trendy flat note cards are perfect for all types of correspondence. Printed with your choice of raised ink color using typestyle as shown. Your choice of paper weight and color. Size 6.25" x 4.5". Matching blank envelopes included. Printed return address in raised ink available. 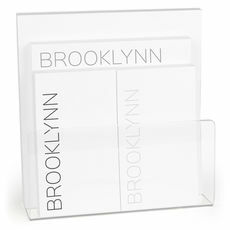 Optional envelope linings available. Positioning only as shown.